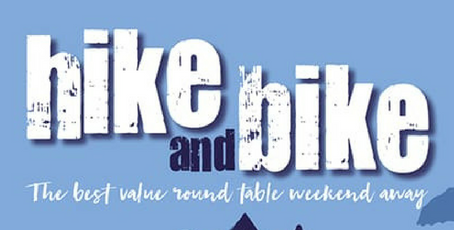 The Hike and Bike is a great event, which sees 100 competitors across 25 teams taking part in a weekend of hiking, biking, socialising and a few beers along the way. It is organised by Area 9 Round Tables from Yorkshire, and is open to teams from all clubs of the Round Table Family, Round Table, Ladies Circle, 41 Club and Tangent. At just £120.00 for your accommodation and all meals as a competitor (or £100 to come and marshal) all you need to remember are your walking boots, a bike (or hire one locally) and some beer money. It really is a great value and always memorable weekend. After great events in Castleton 2016 and 2017, and Ambleside 2018, this year we are descending on Whitby to take in some sea air along its excellent beaches and coastal paths and the North Yorkshire Moors. Accommodation will be provided at the 4 star rated YHA Whitby and we will have exclusive use of the site for the weekend. Limited Parking is available at the Whitby YHA (including also parking for Blue Badge holders). Parking will be on a first come first served basis. Non-hiking and biking clothes - Gothic costumes might be appropriate! Other stuff - c'mon, you're big boys. You can work it out. If not, just ask the missus.